In everyday life, we are all involved in situations and interactions that generate emotion and necessary regulatory processes. The idea is to study the psychological and neural mechanisms of normal emotion generation and regulation by the usage of up to date neuroscientific methodologies. Applied research on pathological mechanisms and emotion dysregulation. A recent view of psychopathology suggests that the majority of clinical syndromes (anxiety, depression, personality disorders, addictions…) are characterized and caused by a dysregulation of specific emotions. This area of research aims at studying abnormal emotion regulation and their effects on behavior and decision-making by testing clinical populations. Applied research on specific therapeutic techniques. 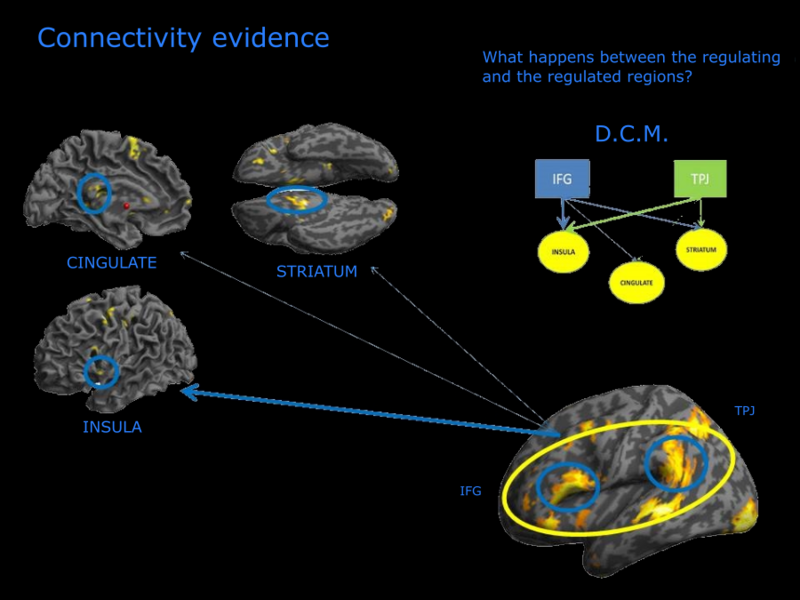 The main objective of this field is to study the psychological and neural mechanisms behind new therapeutic techniques and protocols designed to treat emotional deficits in severe personality disorders. In particular, two approaches are considered: the family of Experiential-Dynamic Therapies and Schema Therapy.